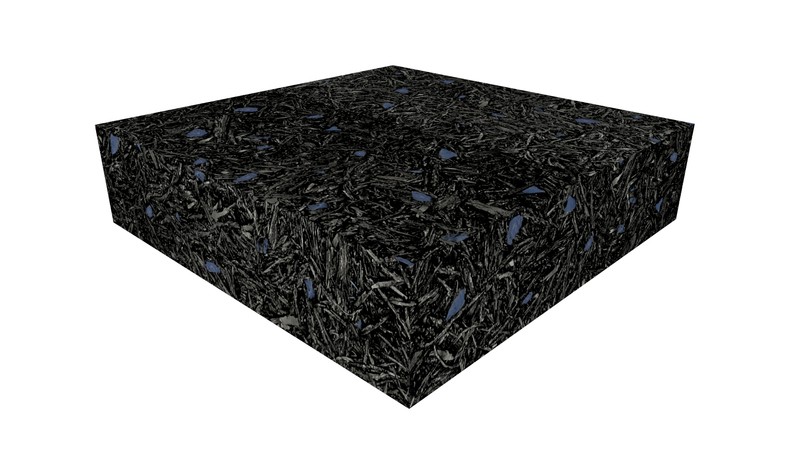 Fabreeka’s newest foundation isolation material, FAB-EFP®, is a cost-effective, environmentally friendly recycled crumb rubber. FAB-EFP is manufactured in several densities to encompass an extensive range of applications from building foundations and inertia mass isolation to industrial equipment isolation. The material can be cut in the field for other uses such as industrial machine footings. FAB-EFP can achieve a natural frequency as low as 11 Hz and is resistant to most chemicals and oils. The damping coefficient remains constant over all densities, and has converging natural frequency over large load ranges for consistent performance. As with all elastomeric materials, permanent static loads cause the material to creep (relax and deflect) over time. Long term creep testing of the FAB-EFP material has shown low amounts of deflection over the material’s expected life cycle. FAB-EFP is supplied and used in full rolls for buildings and machine foundation isolation. Using rolls creates a less labor-intensive construction method, which reduces overall project costs.